Those of you following the campaign to Save Coul Links will know that we’re part of a group of conservation organisations fighting to stop proposals for a golf course on this triple protected wildlife site. 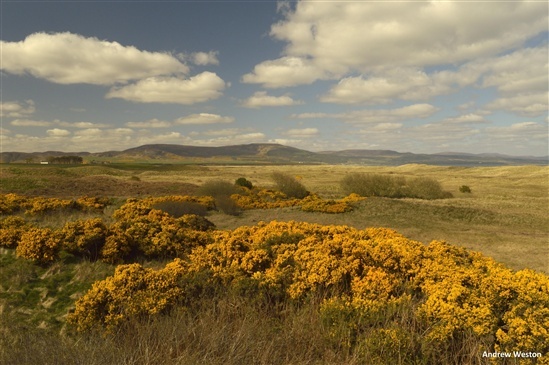 Coul Links is one of the Scotland’s national treasures and is designated as a SPA, Ramsar site and SSSI. 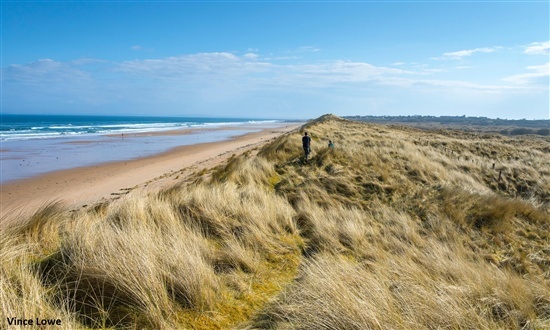 Kate Bellew, our Senior Conservation Planner, explains the latest news on the Coul Links campaign. We recently heard the great news that the Scottish Ministers have decided to "call in" the controversial golf course proposals for further examination. Almost 13,000 people took part in our e-action to ask the Scottish Government to step in and save Coul Links. A huge thank you again to everyone one who took action to make this happen. The case has now been passed to the Planning & Environmental Appeals Division (DPEA) of Scottish Government. Two reporters from this office have been appointed by Scottish Ministers to consider the case and make recommendations to them. Everyone who submitted a response to Highland Council on the planning application should receive a letter emailed to them confirming that an inquiry or hearing session will be held to examine the various different issues raised by consultees. We expect that these inquiry or hearing sessions are likely to be sometime early next year. RSPB Scotland, together with our conservation partners, will be making representations at the inquiry or hearing sessions. Members of the public do not need to do anything further unless they want to participate in the detailed inquiry sessions. If individuals or groups do want the opportunity to speak or give evidence then they need to write back to Fiona Manson at the DPEA to confirm their intention to take part by the 5 October 2018. The letter includes an invite to the pre-examination meeting which RSPB Scotland, together with our conservation partners will attend. The meeting will be open to the public and we would encourage anyone who feels strongly about this case to try and go along to watch the proceedings. We do not yet know when or where the pre-examination meeting will be held but we will keep you posted as soon as details are confirmed, and any further updates on Coul Links. Note: this blog was updated on 25th September - it had previously incorrectly stated that people who made a representation to Scottish Ministers, including those who took part in our e-action, should receive a letter confirming that an inquiry or hearing session will be held to examine the various different issues raised by consultees. Instead, it is those who submitted a response to Highland Council on the planning application that will receive this letter by email. It sounds as if it is proceeding as well as we could hope but I'm still worried.